I both love and hate Valentine's Day. I really do believe that you should celebrate your loved one with sweet gestures and surprise tokens of your love all year 'round - flowers just because? Um, yes please! So you would think that a day dedicated to just that would make me a happy camper buuuuut sometimes Valentine's Day feels like a day full of pressure. Pressure + expectations + build up can leave a girl feeling a little sweaty (and sweaty is not romantic, or so I've been told). P.S. this list would be perfect for your bestie, too! and P.P.S. everything is under $65! I'm obsessed with this bralette! Soft, an incredible price point and super sweet. I started wearing one to sleep in my first trimester and now I love throwing one on under my mom uniform. This ring dish is adorable. One of my fave designers, my fave color palettes and a perfect price point. This would be my go to bestie Valentine's Day gift. My Ray Bans were sadly lost on the side of the road after our accident in Houston. I didn't have it in my budget to splurge on yet another pair of expensive sunnies, so I snagged these babies for pennies. They are super dark, perfect for the bright snow in Maine or for our travels south. Truth: I've added this necklace to every.single.wish list for the last year or so. I'm just in love with the delicate shade of pink. Am I the only one who goes through phone cases like whoa? I guess that's why I need one and if I have to have one, it better be cute! This one definitely fits the bill! Moving South will mean that I can finally wear shoes again! I won't be sad to retire my Bean Boots if it means that I can rock these babies while running errands. This print would be the perfect addition to our master bedroom. The graphic shape and metallic gold foil are just the thing for our neutral decor. I may be one of the only girls under the age of 50 who seriously wears real pajamas. These shorts would be the perfect addition to my pj wardrobe. My every day blush in my fave bright fuchsia color just happens to be the perfect Valentine's treat - useful, indulgent and glam. Perfection. and don't worry, I found the perfect (not too cheesy) gift for the guys. I don't know about ya'll but I would have Minted wrap this bad boy in this gorgeous frame and then force my husband to hang this in his man room. You know, because we're in love and all. I just can't with the braletts... Too much fabric, or perhaps it's that I rarely wear a bra... However, I am loving that necklace (Kendra Scott's best color yet)! And that iPhone case! Now I just need to wait til July for my iPhone 6, ugh! totally agreed, the pressure on Valentine's Day is too much! Maybe the hubs will get your hint on that necklace this year.. love it! 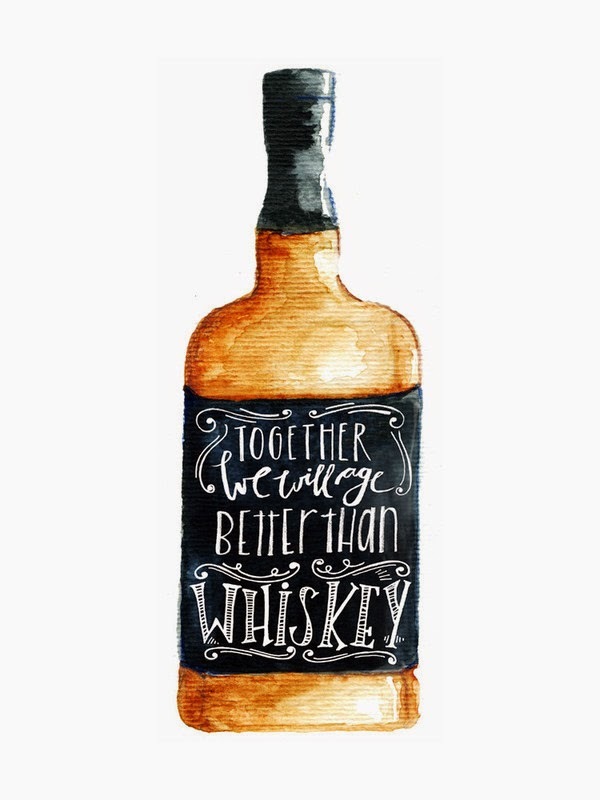 Yeah I'm so stealing that whiskey print idea for my hubby. Love it. I love the AE bralette - I literally have 4 and still don't think its enough. They're so comfy!